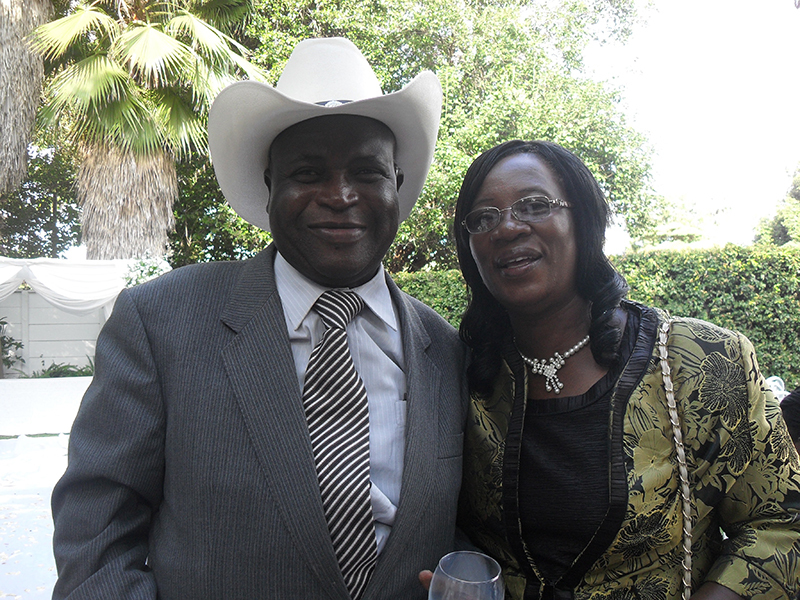 The Zimfest Association Board regrets to announce the passing of Dr. Sheasby Matiure in Zimbabwe. The Zimfest community has lost one of our longtime teachers and friends, a great contributor to Zimbabwean music education. Our deepest condolences go to his family and students worldwide. It is with a heavy heart that we share the passing of Dr. Sheasby Matiure on November 10, 2016 in Harare, Zimbabwe. Sheasby was an incredibly talented musician, educator and scholar in both North America and Zimbabwe. He was a commanding teacher, with a true passion for music, as well as for teaching. His dedication to his students was matched only by his dedication to his wife and family. Sheasby Matiure, born on July 27, 1956, grew up in two areas: Chivhu in Mashonaland, south of Harare, and Bulawayo in western Zimbabwe. His grandfather played the mbira and wanted to teach him. However, he passed away before he could learn from him. In high school he stood out as a musician, playing piano and guitar, and among his favorite musical styles were maskanda, Palm Wine music, and Jimi Hendrix. Sheasby earned his Bachelor of Arts in Music Education from the University of Zimbabwe and a Music Instructor’s Certificate from Kwanongoma College of Music where he was introduced to the mbira nyunganyunga, the marimba and to choral singing, all of which became his areas of expertise and excellence. From 1985-2000, Sheasby served as Lecturer of Music Education at Seke Teacher Training College in Chitungwiza. He has performed across Europe, the United States, and Africa both as a solo artist and as Manager and Artistic Director of the Zimbabwe National Dance Company (1980-1982). It was while Sheasby directed the National Dance Company that he met Dumisani Maraire who had returned from the US and was working for the Ministry of Youth Sport and Recreation. Dumi had taught and performed extensively in the US, and planted the seeds of the Zimbabwean music community, especially in the Pacific Northwest. Sheasby quickly became his right hand man, performing mbira nyunganyunga on international stages. Sheasby met Natalie Jones Kreutzer, who taught in the newly formed Music Education department at the University of Zimbabwe, and who sought a Zimbabwean musician to bring to the United States to serve as an artist-in-residence for the International Vocal Ensemble at Indiana University. She and Mary Goetze served as mentors to Sheasby throughout his time at IU. Sheasby became an artist-in-residence at IU in 1997, and stayed in Bloomington to finish a Master’s degree in Ethnomusicology in 1999. During that time, he also taught at Zimfest and across the US. In 1998, he formed the Mutinhimira Marimba Ensemble, with the support of IU’s Folklore & Ethnomusicology Department, which purchased the marimba set from Zimbabwe. In 2004, Sheasby returned to Indiana University on a Fulbright Scholarship to complete his PhD, including his dissertation, “Performing Zimbabwean Music In North America: An Ethnography of Mbira and Marimba Performance Practice in the United States.” During this time, he continued to teach in the Zimbabwean music community, formed a second incarnation of Mutinhimira, and led the Mbira Queens, an mmbira nyunganyunga ensemble featuring rich vocal harmonies. During both stints at IU, he taught undergraduate courses in African Music and Performance. Upon completion of his PhD in Ethnomusicology (minor in African Studies) in 2008, he returned to Zimbabwe as Senior Lecturer of Music Education and Ethnomusicology and Chairman of the Department of Teacher Education at the University of Zimbabwe. In that role, he oversaw national education standards for Zimbabwe. He continued to passionately support the spread of Zimbabwean music through his ongoing connection to his mbira and marimba students in the US. His last teaching and performing tour was in the summer of 2014, and included Vermont, the Midwest, Boulder, Colorado, and the Pacific Northwest, including Zimfest and Nhemamusasa North. He had planned to return in 2017, hoping to introduce his musical son Tafadzwa to the Zimbabwean music community in the US. He recorded two albums while at Indiana University, Ngoma (1998), a collection of mbira songs featuring back-up vocals by Monkey Puzzle, and Sarura Wako (2008), a combination of the Mbira Queens and Mutinhimira Marimba Band repertoire. 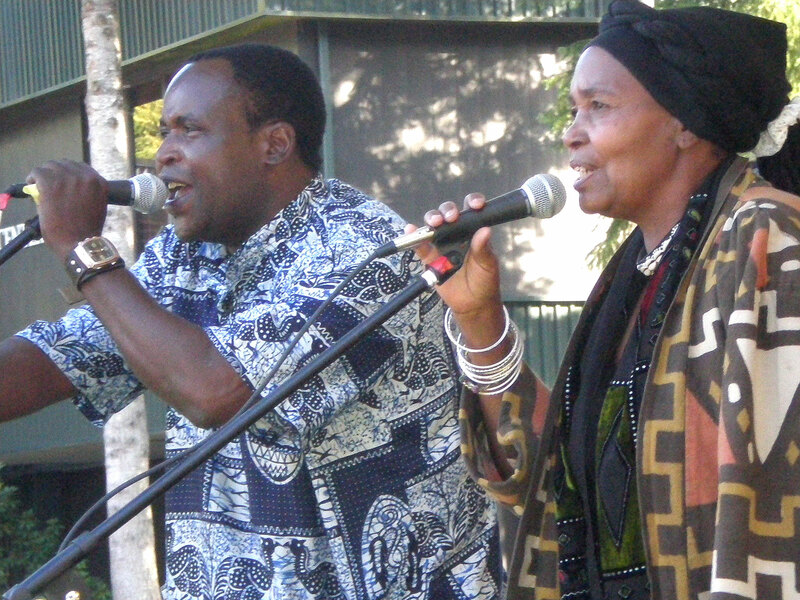 Sarura Wako (in Shona, “choose your partner”) is dedicated to his wife, Jane. Throughout his long career, Sheasby performed and conducted workshops in African musical performance in Sweden, Norway, Finland, and Great Britain. He performed for Queen Elizabeth II during a tour of Australia, and for Liberian President Ellen Johnson Sirleaf during her visit to IU. During his graduate studies, he performed and conducted workshops across the United States, in a variety of contexts. According to Sheasby, one pinnacle of his career was his performance with the Mbira Queens at Zimfest in 2008, as the crowd, many of whom were his students, former Dumi students, or fellow Zimbabwean musicians, sang along enthusiastically. He was a well-loved teacher and friend to many in all corners of the US. He was known for his immensely powerful singing voice, his strict concern for Shona pronunciation, and his “tough love” teaching style. His humor kept workshops and rehearsals light and full of laughter, and his discipline sharpened our skills. Sheasby’s talent was immense, and his ability to teach Zimbabwean music was a cherished gift for students and audiences across the world. He believed that the power of music was in sharing it. 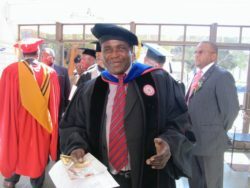 Dr. Sheasby Matiure is survived by his beloved wife, Jane, his daughters, Tinashe Hore (Matthew) and Tsungie Munyeza (Obert), and sons, Takudwa (Runyararo) and Tafadzwa, and five grandchildren. His spirit continues on through them, and through his friends and students. We are going to miss you Sekuru.